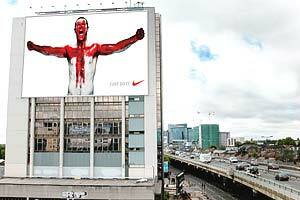 A billboard by Nike in London, cheering English team that made it to the next round in the World Cup. 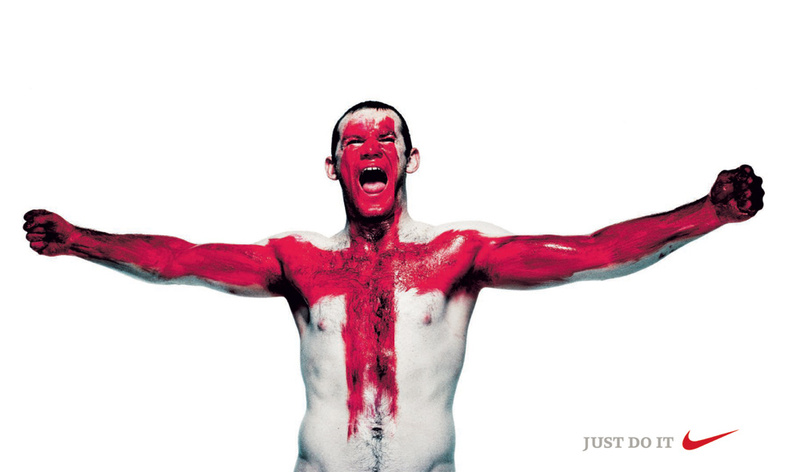 This is Wayne Rooney, the soccer star. Read more at Fox Sports.